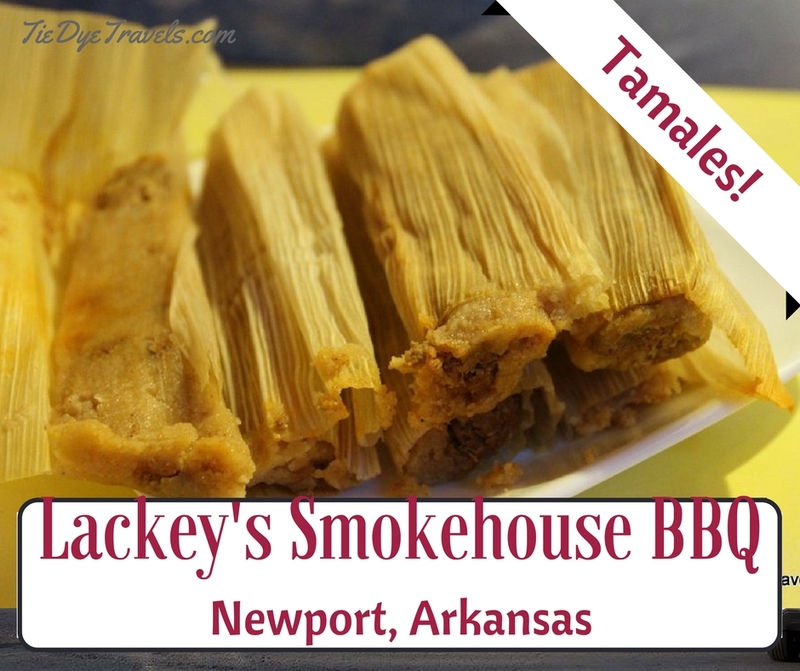 Lackey's Tamales Survive at Newport's Smokehouse BBQ. 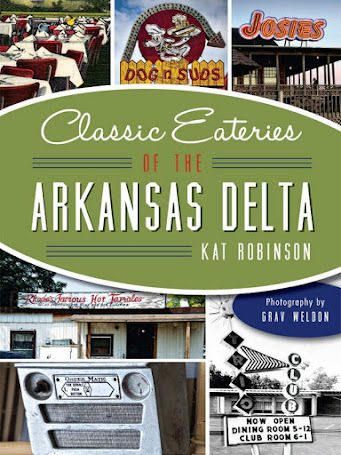 We've talked about the Arkansas Delta tamale here at Tie Dye Travels... and the variant with the chicken fat influence as well. What we haven't talked about are the Cajun-style chicken tamales that make up the third part of the tamale triumvirate here in Arkansas -- Lackey's Tamales. Mind you, if you head up to Newport and start looking for a restaurant called Lackey's, you're not going to find it. The restaurant that bore the name and a sign out front that proclaimed "Lackey's Cajun Style Hot Tamales" is gone gone gone. Fortunately for you and me both, there's still one bastion of spicy tamale goodness out there... and it's at a little restaurant on the south side of town... a little quiet, diminutive place called Smokehouse BBQ. 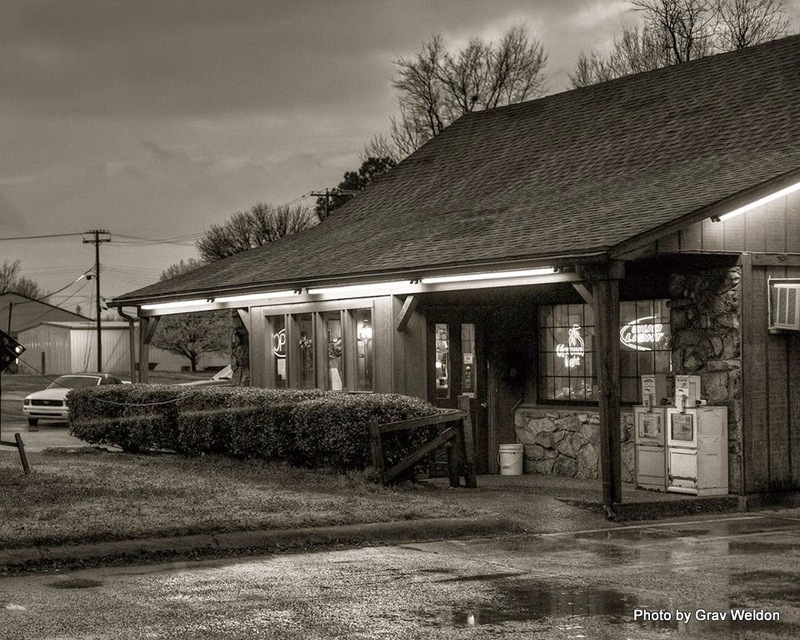 We went looking for this place, Grav Weldon and I, on a stormy Friday night in March. 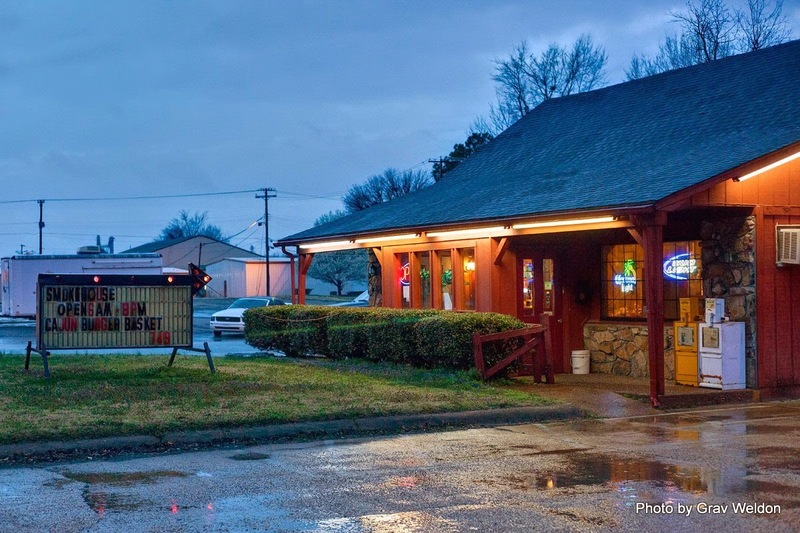 At the time, the name of the place did not come up in an Urbanspoon search (I've fixed that since), but the listing for Old Hickory BBQ did and I knew good barbecue was worthy on its own. 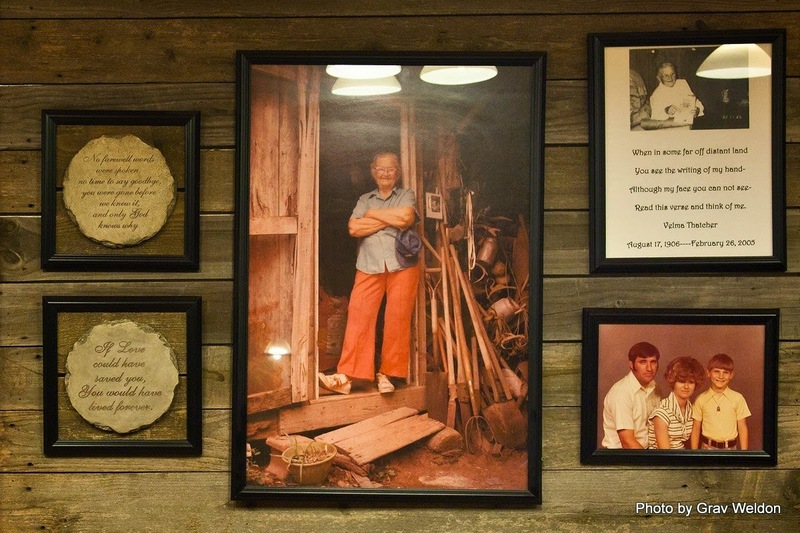 Upon entering Smokehouse BBQ, I was struck with how wooden it all seemed -- wooden panels that depicted a different sort of wood paneling donned the walls. There were quite a few local folks inside. We were told to go find us a seat, and a waitress brought out a thick menu with every sort of Southern delight thereupon -- a full slate of breakfast; barbecue plates of chopped beef and pork and pork ribs; Cajun and steak plates featuring Omaha steaks; tamale plates loaded with chili and cheese; Cajun staples of red beans and rice, gumbo and jambalaya; catfish and shrimp plates with lobster tail and crab leg add-ons; lunch and dinner specials and Happy Hour specials; chicken plates and salads and gator bites; burgers and po'boys and a Philly Cheesesteak and all sorts of things. 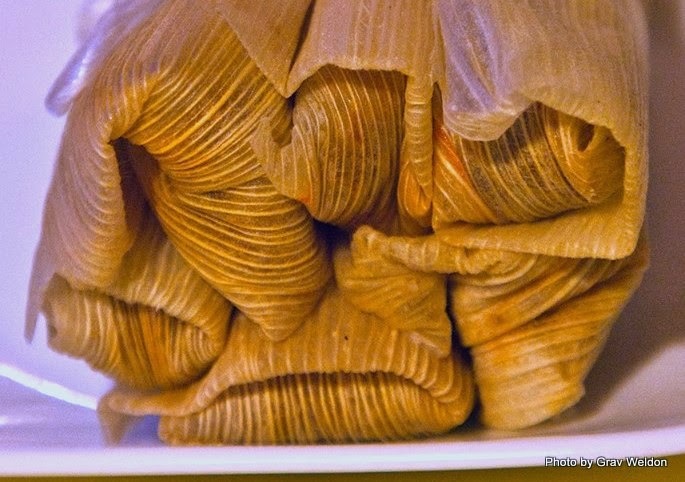 And in amidst the appetizers, the bright orange block proclaiming "Lackey's Tamales, Cajun-Style chicken tamales wrapped in corn husk" -- one or six or twelve to an order. Grav had never had a Lackey's tamale before, and his fondness of Rhoda's and Pasquale's tamales kept his excitement down. He was interested in the Cajun cheese dip and got it, but I got a word in and asked the waitress to bring him just one. She admitted to me a heresy -- she doesn't eat tamales, since her dad used to eat the sort out of a can (the SHAME), but knew they were good -- and she went and retrieved the ordered items while we decided on dinner. We had just about decided to split a big BBQ combo plate between the two of us when she set that tamale down in front of him and, after photographing the thing, Grav took a timid bite. And then the damn thing was gone. He even changed his order -- leaving me with a BBQ beef sandwich to choose and asking kindly for a half dozen more Lackey's tamales. Mind you, he was pleased with the tamale -- something finally spicy enough for his tastes. The less-greasy tamale (Rhoda does use chicken fat, as you should well know) that bore the Lackey name was packed with shredded chicken smashed together with a hell of a lot of spices, both Cajun and Mexican in flavor. Combined with the masa, to me it had the flavor of a strong Frito chili pie. Grav was just as enamored, if not moreso, with the cheese dip. We discovered upon its arrival that it was packed with bits of Cajun sausage, which meant I couldn't touch it -- but he did. Touched, swallowed, gobbled, licked the bowl -- these terms all apply to what Grav was doing to that bowl of cheese dip. When he ran out of chips he dolloped it onto his tamales. He sweated. That sweat rolled from the top of his head to the neck of his shirt and he still could not get enough of it. 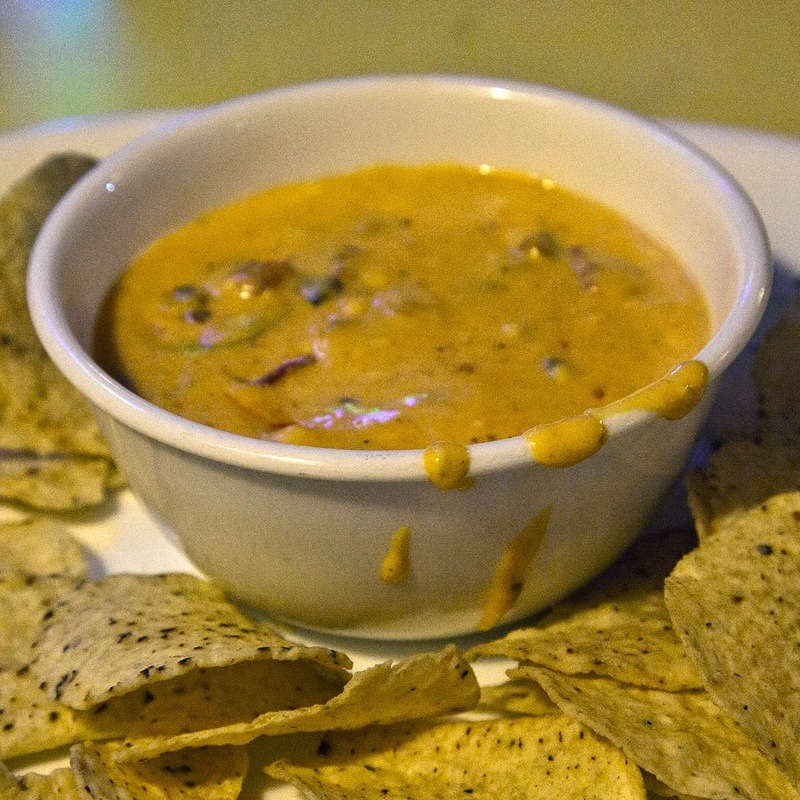 He lauded it, calling it the best cheese dip he had ever tasted. He wiped his brow. He ate more. He inhaled those tamales and that cheese dip and would have rented an extra stomach if possible to be able to keep passing more of that spicy food betwixt his lips. All of this amused me, of course. Myself? I had myself an order of fries and that jumbo barbecue beef sandwich topped with a dollop of cole slaw. It came with very little sauce on it, which I augmented with more from the table squeeze bottle, its flavor somewhere a cross between the thick sweet sauce of Old Post BBQ in Russellville and the tangy touch of Sim's sauce from Little Rock. This 'cue juice was thick as ketchup and on the orange side of brown and it stuck to the meat with fervor. As well as it needed to... I have never before encountered such a coarsely chopped brisket for a 'cue sandwich... this one had chunks of still-barked beef upon it, the rind edge of the brisket, half an inch thick in places. That is not to say this made the quality poorer; in fact, I was thrilled to be able to sink my teeth into brisket that resembled what came from my own kitchen, thick with hickory smoke and a touch of rosemary, a sandwich that made you feel like you'd actually involved yourself in the eating of it rather than just letting something soft slide down your throat. 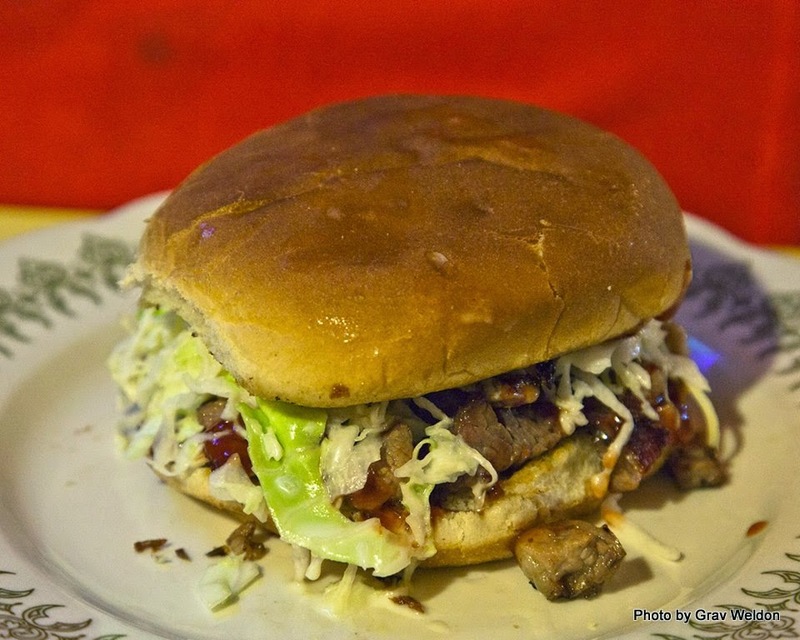 The creamy slaw was the parfect accompaniment, a little creamy and big chunks of white-ish cabbage laid in a circle under the bun. And so it was that at eight o'clock on a Friday eve, weary from fighting miles of storms on the highway, wearier still in the knowledge that our final destination for the evening was another 45 minutes up the road... that we each found the perfect meal awaiting us at this comfortable brown-clad building alongside the main drag south of downtown Newport. 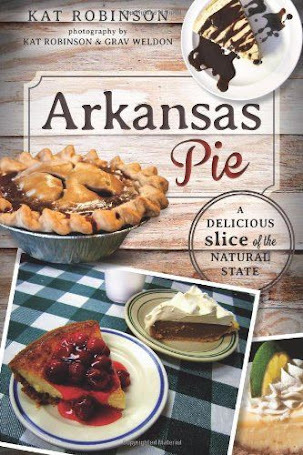 Seems along the way, Clint Lackey struck up a business with Scott Whitmire, and the two ran both the Lackey's restaurant and Smokehouse BBQ, before getting to run both was too much. Clint ended up giving the business to Scott, and he's run it since. 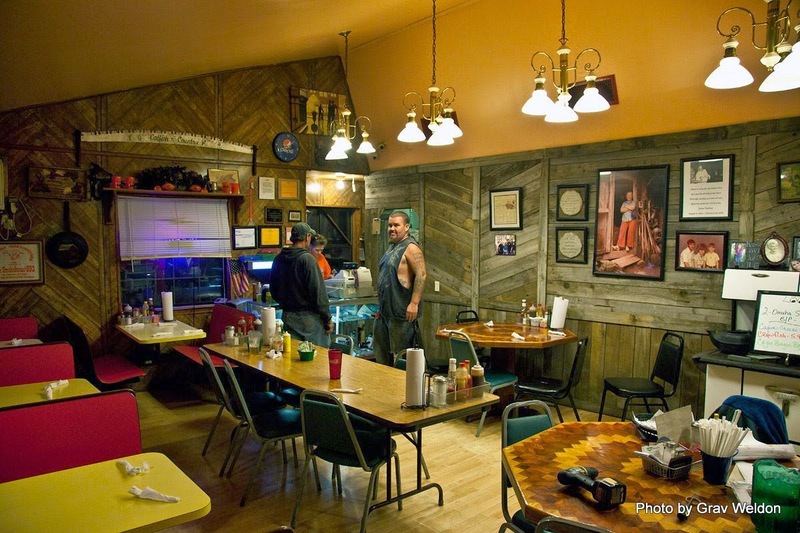 The old Lackey's is now a bar on the other side of town, and the Smokehouse keeps the tradition and recipes going. Now, you can't still get Lackey's in the grocery store (and from what Scott told me while we were checking out, I probably want to ditch the ones I found in my freezer that came from Argenta Market, since they're at least a couple years old) but you can still pick up frozen ones at Smokehouse to take home. 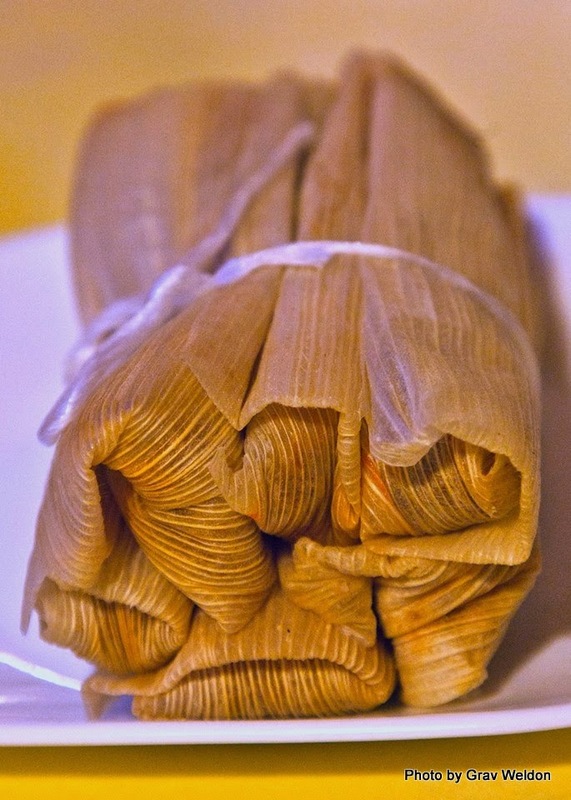 I think I am going to do that sometime soon when we need to share the tamale love with others. We were getting ready to get on out of town and back on the road but got to talking a bit. Smokehouse BBQ is decorated with a lot of things of interest, in particular a big saw that says "Catfish Country" as well as a cast iron frying pan of considerable size with the same motif -- and a big old fashioned cooking stove. These belonged to Scott's grandmother (Grav says great-grandmother -- I may have heard that part of the conversation wrong), one Velma Fletcher, who is celebrated throughout the restaurant. Miss Velma lived all her days in the same house, and only left it once she'd parted from this world. Scott apparently takes great inspiration from her. 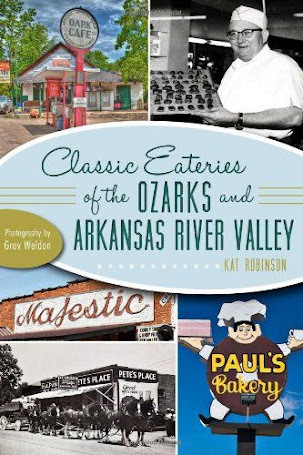 Now, if you were to go about finding Smokehouse BBQ, take the Waldenburg exit coming up from Little Rock and follow Highway 14 into town. That becomes State Street if you stay straight at the four-way stop at Highway 17. Take it up to Malcolm, which is also Highway 367, and turn left as if you were going to go downtown and over the White River bridge. Smokehouse BBQ will be a little ways down on the right-hand side of the road. 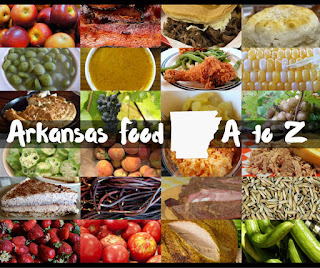 The proper address is 601 Malcolm and the phone number is (870) 217-0228. The menu photos are below. Be sure to come hungry -- it's not hard to feed yourself and whomever on just a little cash -- and bring a cooler to take home tamales in. We certainly will, next trip we're through. the only reason the food was so good was because my son Chris Baty the chef, prepared it.. the end of discussion.. Sounds like a rousing endorsement! 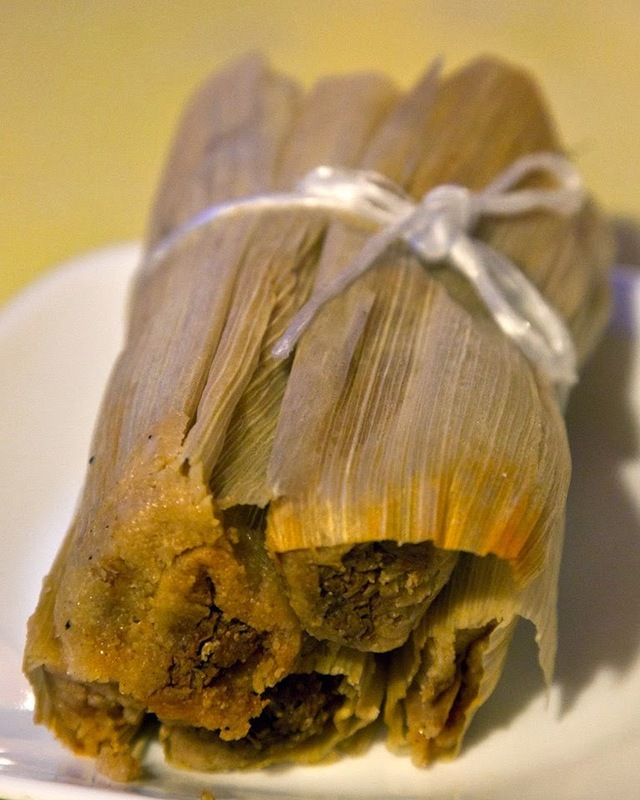 These are the best tamales I’ve ever had and I lived in Texas where they’re everywhere. We always get a couple of frozen to take home. 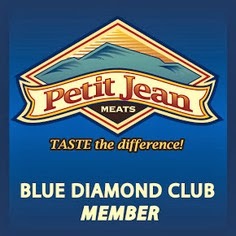 The last time I was there, they had some jars of homemade Chow Chow by the register. I bought a jar and it’s the best I’ve had since my Grandmother passed away.